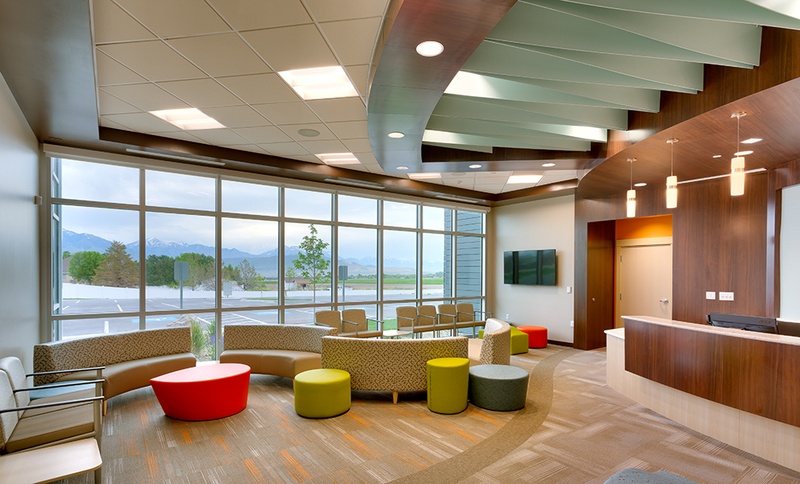 The Families First Pediatrics Medical Office Building is a one-story medical office building located in Riverton, Utah. 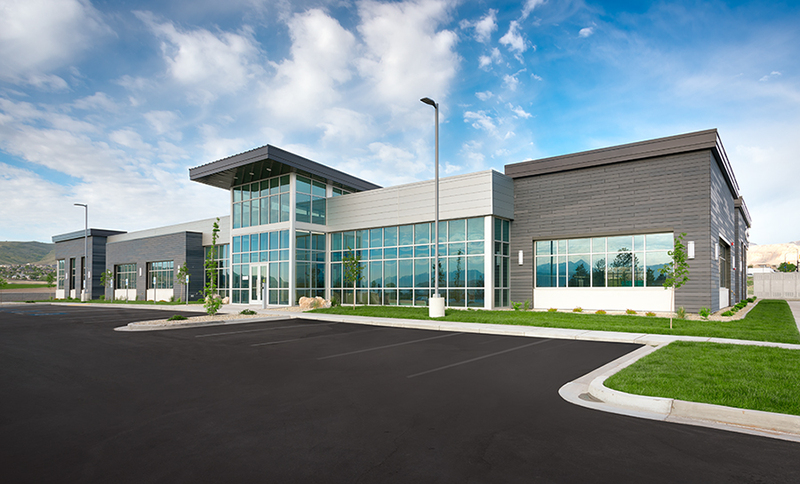 The location is off of 13400 South, near the Mountain View Corridor. 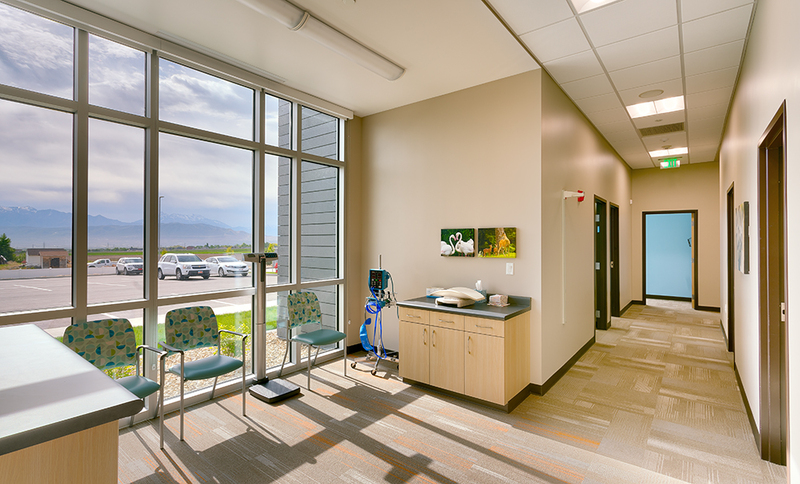 The building is approximately 20,550 sf with a main lobby and three suites to be used as doctor offices. 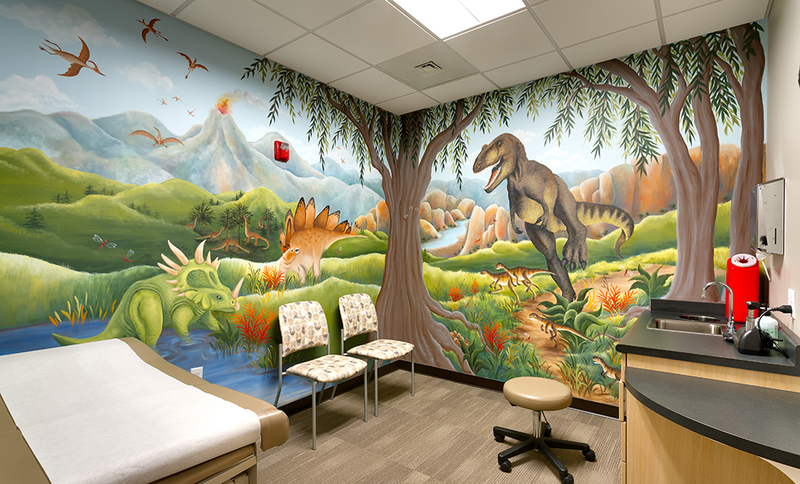 In addition to the core and shell, R&O completed the 10,675 sf of finished pediatric clinic tenant improvement. R&O installed innovative exterior cladding materials that contributed to the overall design of the building. Glass fiber reinforced concrete cladding and metal cladding were used as the main exterior materials to provide a unique exterior modern design. The exterior cladding product, Oko Skin, is made of glass fiber reinforced concrete. 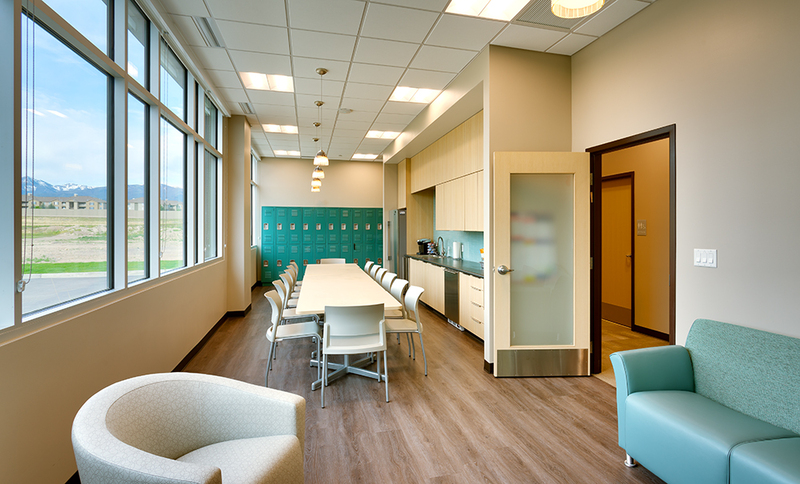 The cladding is highly durable and has little to no maintenance, not requiring painting or staining. Additional metal zinc flat lock paneling was used for other areas of the building façade as an accent to the concrete cladding. The combination of the two materials and colors juxtaposed to the glass storefront and curtain wall design provided a striking design and balance to the overall compilation of the building exteriors.